Inflammatory skin issues such as seborrheic dermatitis are often accompanied by a constant itch, which can be the result of a damaged skin barrier and increased microbial activity. This itch, while not necessarily bad itself, can trigger repeat scratching and picking. Unfortunately, these sort of interactions with the skin are known to cause further damage to the already disrupted skin barrier and lead to perpetuation of the initial itch. This is what is called the itch-scratch cycle. This cycle creates nothing but problems and is something that needs to be controlled in order to give the skin a chance to finally heal. Though it’s called the itch-scratch cycle, the concept also applies for skin picking and any other repetitive physical interaction with the skin. 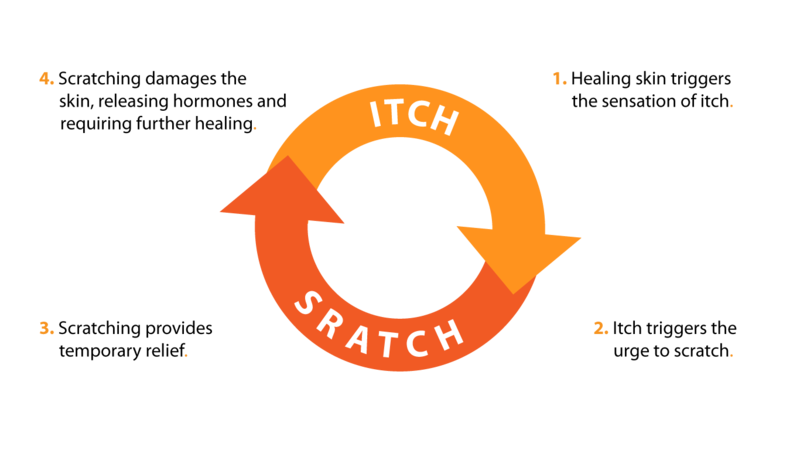 In order the itch-scratch loop, we need to become vigilant and stop scratching and physically interacting with your skin. It may be difficult, but you must remember that scratching and touching the skin is doing nothing but harm.